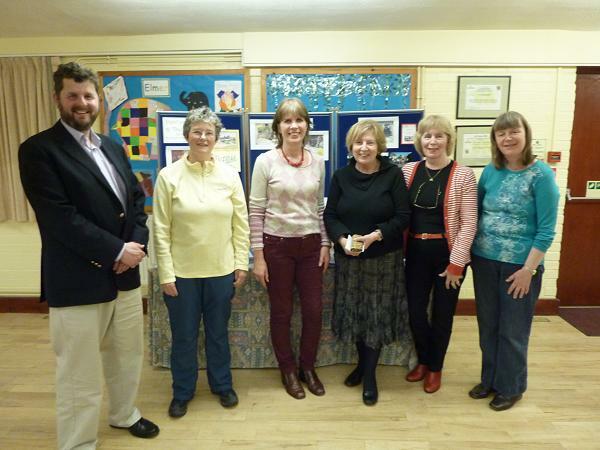 The 2012 AGM was held on 13 March 2012 in the Village Hall. 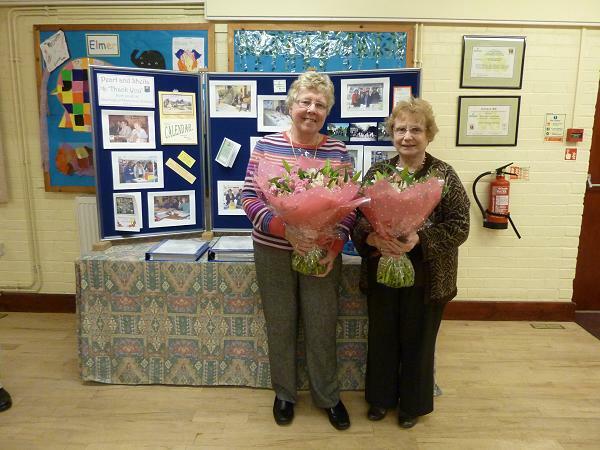 This year, Sheila Quinn and Pearl Teasdale stood down from the Committee after serving for 11 years and 6 years, respectively. They were presented with bouquets of flowers and a bottle of wine. 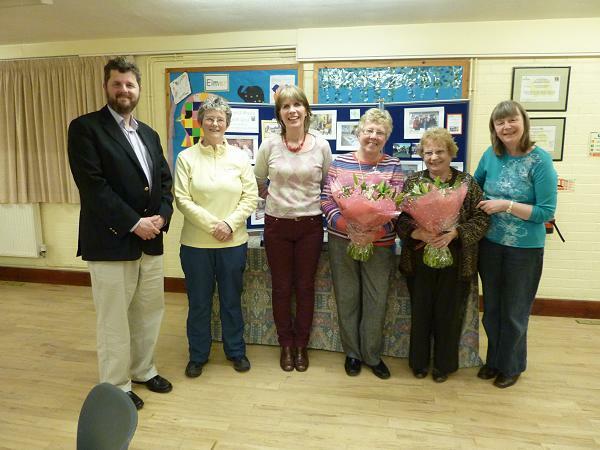 Betty Feasey (secretary) and Diana Morgan (treasurer) have joined the new 2012/13 Committee.